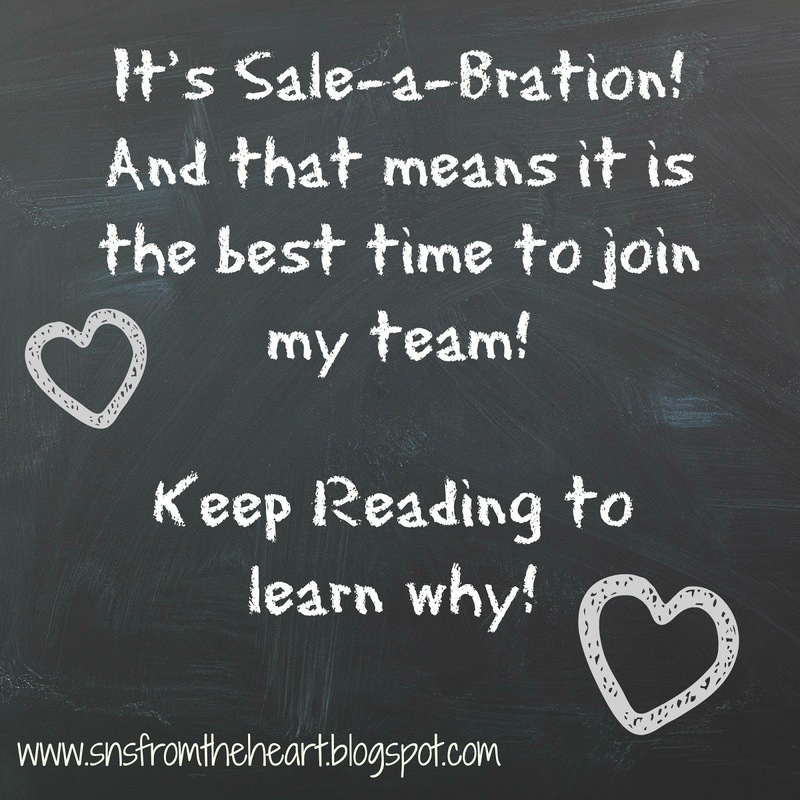 Katrina's Kreative Heart: Sale-a-Bration: Why You Should Join My Team Now! Hi all! Happy Thursday! I know I have said it time and time again but I only say it because I believe in it so much. Sale-a-Bration is THE most wonderful time of year! The benefits of Sale-a-Bration are just amazing and it doesn't matter if you're the happy shopper or the happy demonstrator there is so much to love about Sale-a-Bration. But I have to tell you, it is absolutely the BEST time to join! And here is why: In addition to the normal "design your own demo kit" by selecting $125 in product (anything you wish) for just $99 with FREE shipping, you now get to throw in not one, but TWO stamp sets of your choice! That's ANY TWO stamp sets you choose! There isn't a dollar limit on what you can choose! Now, here is the real kicker...there is absolutely NO OBLIGATION! Once you purchase your starter kit at such an AMAZING value....you aren't obligated to do a single thing with it! There is no one that is going to call you and demand you sell stamps, no one pressuring you to be a sales person. It is totally up to you! Now, don't get me wrong, there is definitely perks for maintaining your demonstratorship, but it's not required. If you do choose to continue, you will make/save 20% on all of your sales/orders. Now, tell me, who doesn't love a good discount? You get "sneak peaks" into up coming catalogs along with the opportunity to pre-order before anyone else even gets to see the inside of the catalog. You can attend exclusive Strampin' Up! demonstrator events and you can even earn incentive trips (this year everyone is working toward earning Alaska - oh how I yearn to earn Alaska!) And, you get access to an exclusive Demonstrator quarterly publication, Stampin' Success full of business tips, crafting ideas and so much more. There is also the weekly email, Succeed Weekly also full of great information. And then there is the personal side of the "business", the amazing relationships you forge when you come together with others that love the craft as much as you do. And those relationships are those formed with other demonstrators as well as your customers. You become a great big extended family. That to me, has become the biggest perk of all. I love and appreciate everyone of my customers and I love to share ideas with them, I love to encourage creativity in others. If any of this even remotely sounds like fun to you, then seriously, consider joining my team. Just use the tab up above and follow the link. Easy Peasy, I would love to have you join me.